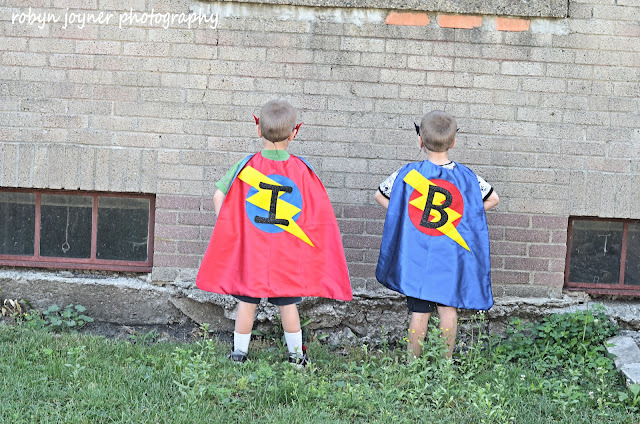 With twins, birthdays can be tight on the budget. Below is a Super hero party we threw on a very small budget. Since my boys share so many things, I always make sure they have their own cake. The lines for the web were not perfect, but my boys loved it! Gotta love happy meals toys used as a cake topper! I keep costs lower by buying red and blue plates (red for superman and blue for batman), napkins and utensils and the cakes are the only real theme decoration. The leftovers were used for 4th of July party the next week! 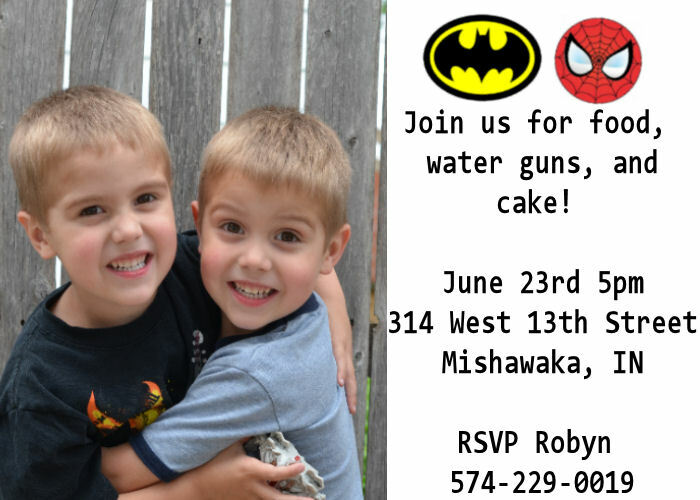 Make sure you let parent know their will be water guns on the invitation! I pit it on mine but wish I had made it bigger b.c some people didn't see it and were surprised with the water when they got there. 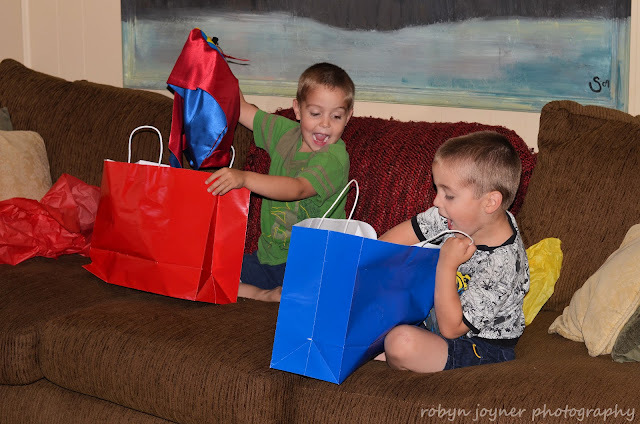 $2- 20 invitations printed at Walmart. 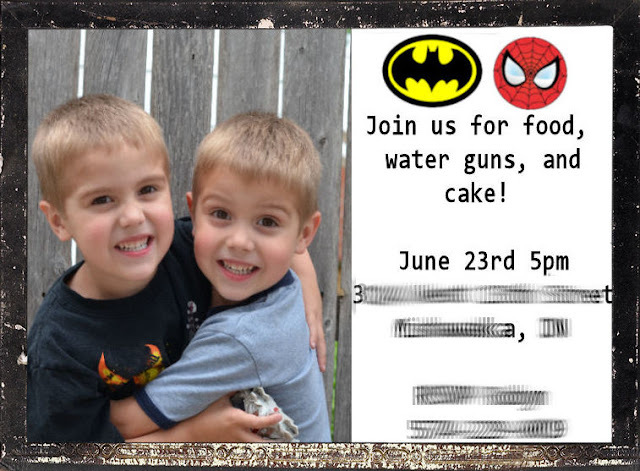 Kept it low by designing an invitation on my computer, then getting 9 cent prints at Walmart. Again, it isn't fancy but on a budget it works just fine!